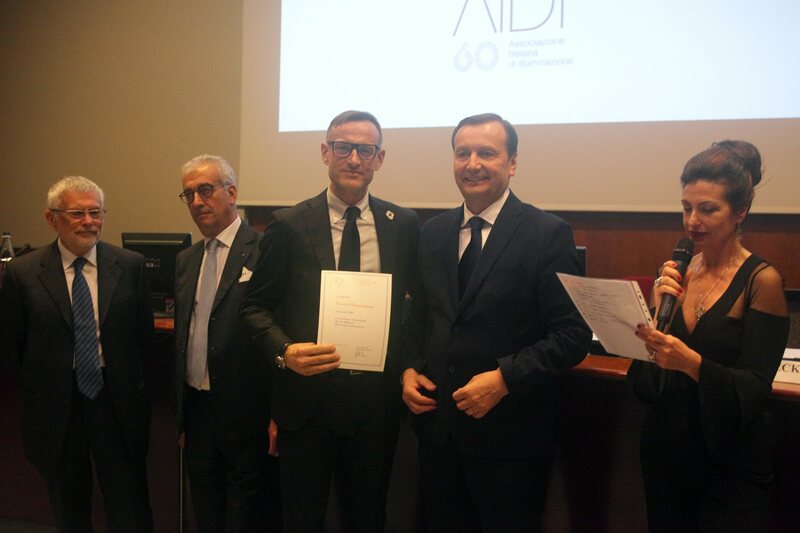 In the afternoon of Thursday 29th March in Milan, at Palazzo Turati, a ceremony will be held to celebrate the 60th anniversary of the foundation of AIDI, the Italian Lighting Association. The aim of this initiative is to demonstrate AIDI’s commitment in spreading light culture in Italy through a number of speeches recounting the association’s history and leading figures given by important speakers. During the event, the AIDI will also present awards to its ‘historic partners’ in recognition of their professional and economic contribution to the Association’s activities. Luca Belelli, the iGuzzini Regional Director for Southern Europe & South America, will accept the merit award on behalf of iGuzzini which has supported the AIDI since the late 1980s. In addition to being a Silver Sponsor of the ceremony on 29th March, iGuzzini is a member of the Association’s management committee and the editorial board of its ‘Luce’ magazine. The company also sponsors AIDI national study days and its competition “Take back the city. Take back light”. Over the years, iGuzzini has always recognised and promoted the role of AIDI as an authoritative scientific and cultural reference point in the world of light.